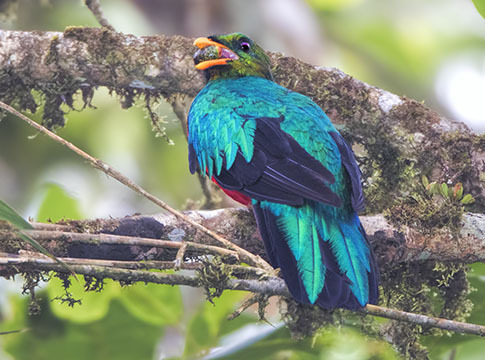 Several species of quetzal (large trogons) occur in Latin America, the most familiar being the well-named resplendent quetzal of Central America. Most are cloud-forest dwellers, including this species, the golden-headed quetzal. 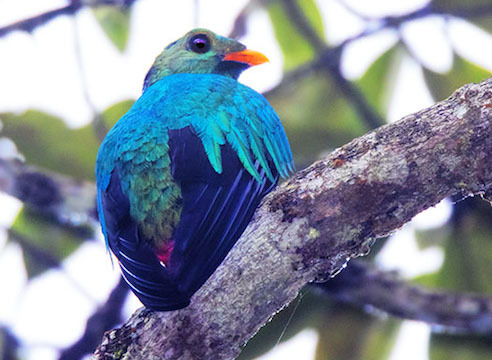 In the mountains above Cali, Colombia these birds noisy calls were a characteristic sound, but despite their bright colors the birds were hard to see, in part because they spent most of their time high in the canopy. One of these is eating a small fruit.